The club extends a very Happy New Year to all of our players, members, supporters and sponsors. May 2018 be a successful year for the club. Thanks to everyone at home and abroad for the remarkable support we received in 2017, particularly during our fundraising efforts for the indoor astro-turf complex which exceeded all expectations. We had a tremendous turnout for our annual Married vs Singles Charity match in Quigabar last Wednesday. In what was a first for the club, the Enniscrone/Kilglass Gaelic for Mothers and Others group played in the curtain-raiser in what was their first outing on the pitch. Afterwards, the Married men took the spoils once again over the Singles team. Thanks to everyone who came out to support. All funds raised will go towards the Moy Search and Rescue, and the Civil Defence. Our thanks to Sligo footballer Niall Murphy for attending our underage presentation after our Charity match last Wednesday. Congratulations to our 2016 U-13 and U-14 teams, as well as our 2017 U-12s on their achievements. We are getting set for another festive cracker next week when we host our annual Married vs Singles match on Wednesday, December 27th at 2.30pm. As always, all proceeds raised will go towards charity. This year, we will also have a game between the Enniscrone Gaelic for Mothers and Others group before the main event. We are looking forward to welcoming everyone on the day for some Christmas fun. Keep an eye on our social media platforms for further updates this week. Congratulations to club PRO David Tuffy on receiving the Cathaoirleach Community Individual award for his extensive voluntary work for several local groups, including the GAA club. Richly deserved. Congratulations to Francie Gallagher on his re-election to Sligo County Board as Assistant Treasurer at last week’s convention. Our intermediate team will play in the long-delayed Abbott Cup final against Tourlestrane next Saturday, December 16th, at 1pm with a venue to be confirmed during the week. Best wishes to all of the players and management. Our very popular Married vs Singles match will take place this year on Wednesday December 27th at 2.30pm in Quigabar. We are also hoping to involve our Gaelic for Mothers and Others in proceedings. It promises to be another fantastic day, all in aid of a designated charity once again. Management teams are set to be appointed in the coming week, and no doubt both teams will eagerly start their preparations ahead of the big encounter! Keep an eye on our social media platforms for further updates in the coming weeks. Check out our club shop on the O’Neills website for various club-branded items. Our Abbott Cup final fixture against Tourlestrane has been pushed back to Saturday December 16th at 1pm with a venue yet to be announced. Congratulations to the Enniscrone representatives who picked up the Runner Up prize in the Pride of Place awards in Letterkenny last Saturday night. This is a wonderful achievement and great recognition for our community. We were delighted to be part of the entry, when judges visited our new developments at Quigabar last August. Thanks to Seamus Egan and Della Lindsay for providing defibrillator training for club members last Thursday evening in the Astro complex. We will be installing a new defibrillator at the clubhouse in the near future. It might be the start of December next weekend but our intermediate team will be in action on the field. They will play Tourlestrane in the Abbott Cup final (time, date and venue TBC) in the last club fixture of the year. This is a warm-up competition designed to conclude in the early part of the football season, but various reasons out of our control have pushed it back. Nonetheless the team and management will attempt to finish their year on a hight. Best of luck to manager Pat and all the players. Your support would be appreciated - we’ll make the fixture details available when they are made available. Our very popular Married vs Singles match will take place this year on Wednesday December 27th at 2.30pm in Quigabar. We are also hoping to involve our Gaelic for Mothers and Others in proceedings. It promises to be another fantastic day, all in aid of our two designated charities: this year, they will be the Civil Defence and the River Moy Search and Rescue. Management teams are set to be appointed in the coming week, and no doubt both teams will eagerly start their preparations ahead of the big encounter! Keep an eye on our social media platforms for further updates in the coming weeks. Well done to Marty Duffy on refereeing the Connacht Club Football final between Corofin and Castlebar Mitchels last weekend. Karl Finnerty was one of Marty’s umpires. At last Friday’s club meeting, votes of sympathy were extended to the Sweeney, Farris, McDonnell, Foody, Hannon and O’Dowd families following their recent bereavements. The Enniscrone-Kilglass/Easkey U-21 team suffered a devastating one-point defeat to Tourlestrane after extra time in last Saturday’s pulsating A Championship semi-final. In an absolutely absorbing contest, the sides ended level at 2-10 to 1-13 after 60 minutes, but with two minutes to play in extra time our lads held a 3-18 to 2-16 lead. However, Tourlestrane struck for two goals in the final minute to win out by a point in a remarkable finish. This was a heartbreaking end for the west Sligo boys and a cruel way to see their championship hopes end. Congratulations to Tourlestrane - we wish them every success in the final next weekend. The Enniscrone-Kilglass/Easkey U-21 team play Tourlestrane in the semi-finals of the A Championship next Saturday at 2.30pm in Tourlestrane. Best of luck to all the players and management. Please support. The U-16 Enniscrone-Kilglass/Easkey team play Tubbercurry/Cloonacool in the A1 Championship final next Sunday afternoon at 2pm in Castleconnor. Good luck to all the players and management. Please support. Commiserations to Declan, Michael, Con and the Sligo Masters on their 1-10 to 0-9 loss to Mayo in the All-Ireland Masters final last Saturday. Commiserations also to Gavin Duffy and the Sligo U-16s on their Fr Manning Cup defeat to Offaly. The Enniscrone-Kilglass/Easkey U-21 team progressed to the semi-final stage of the A Championship last weekend. They will play Tourlestrane in the last four in two weeks time. Training continues this week. The U-16 Enniscrone-Kilglass/Easkey team play Tubbercurry/Cloonacool in the A1 Championship final on Friday evening at 7pm in Scarden. Good luck to all the players and management. Best of luck to Declan Cawley, Michael Moyles, Con O’Meara and all the Sligo Masters (over-40s) in the All-Ireland Masters final against Mayo on Saturday at 2.45pm in Ballymote. In the U-16 Fr Manning Cup, Gavin Duffy and his colleagues were beaten by Kildare last week. Gavin, Oisin Hynes and manager Michael Duffy were part of the Sligo U-15 squad contingent who spent a couple of days training in Kerry last week. A big thanks to everyone who supported our Surf and Turf run last Saturday. Once again, we welcomed a large crowd and everyone got through the muddy course! We were delighted with the swell of support from participants and volunteers alike and once again the feedback was overwhelmingly positive. Thanks also to our sponsors Coleman Electronics. Our overall winner, who claimed the John P Hannon memorial cup, was Frank Reape, while the first lady home was Sharon Flynn. A full list of winners, and lots of action pictures, are available at the Enniscrone Surf and Turf Facebook page. The Enniscrone-Kilglass/Easkey U-21 team play Coolaney/Mullinabreena in the opening round of the U-21 Championship next Sunday at 1pm in Quigabar. This is a rearranged fixture. Good luck to all players and management. The year came to a disappointing end for the Enniscrone-Kilglass/Easkey U-16s when they lost to Curry in their A Championship play off last Thursday evening. 2-6 to 0-6 ahead at the interval, Curry took control after the break and ended as winners. Thanks to all the players and management for their efforts throughout 2017. Congratulations to Declan Cawley, Michael Moyles, Con O’Meara and all the Sligo Masters (over-40s) on their advancement to the All-Ireland final following a six-point defeat of Cavan in their semi-final last weekend. They will play Mayo in the final on November 11th. In the U-16 Fr Manning Cup, Gavin Duffy and his colleagues led Westmeath by three points before the game was abandoned due to severe fog last Friday evening. Gavin started at left-corner forward. The extremely popular Enniscrone Surf and Turf fun run is back for 2017 on Saturday, October 28th with a start time of 12pm. This has been a superb event in recent years and promises to be bigger and better again this Saturday with 600 euro worth of prizes up for grabs, thanks to Coleman Electronics kind sponsorship. We will once again have two courses available – a 3k for U-16s and 5k for 16 and above. As always there will be plenty of fun and challenging obstacles to keep our participants on their toes! Registration takes place from 10.30am at the clubhouse on the morning of the event and with the race getting underway at 12pm. Changing and shower facilities will be provided, along with post-run refreshments. Please support; we look forward to welcoming everyone on the day. The Enniscrone-Kilglass/Easkey minors play Coolaney/Mullinabreena in the opening round of the U-21 Championship next weekend. At the time of writing no time, date or venue was available. Best wishes to the team and management for the upcoming campaign. The Enniscrone-Kilglass-Easkey U-16s progressed to the next round of the long-delayed U-16 A Championship courtesy of a 2-13 to 0-13 defeat of Tubbercurry/Cloonacool last Tuesday. They now play Curry in another playoff this Tuesday evening at 6.45pm in Scarden. Commiserations to Western Gaels on their narrow loss to Calry/St Joseph’s in last Sunday’s county final. The final score was 2-15 to 3-10 after an entertaining contest. The team will hope to make amends for this defeat in the final stages of the league. An extra ten blocks and bricks have been released due to the enormous demand for sponsorship opportunities for our indoor astro turf complex. You can find all the details on our website, or contact any committee member. Thanks to everyone for the superb support. Congratulations to two of our stalwarts Liam Cawley and Joe Cawley (no relation) on their volunteering awards for their efforts with our club at the county finals at Markievicz Park. This took place in recognition of Sligo being the European Volunteering Capital 2017. Surf and Turf is back! The extremely popular Enniscrone Surf and Turf fun run is back for 2017 on Saturday, October 28th with a start time of 12pm. This has been a superb event in recent years and promises to be bigger and better again this October. We will once again have two courses available – a 3k for U-16s and 5k for 16 and above. As always there will be plenty of fun and challenging obstacles to keep our participants on their toes! We look forward to the event once again this year; for further details keep an eye on the Enniscrone Surf and Turf Facebook page. Once again this year we are set to enter a team with Easkey in the U-21 A Championship. This competition is to get underway next weekend, with the first round against Coolaney/Mullinabreena. At the time of writing, there was no date, time or venue confirmed for this fixture. Best wishes to all the players and management for the coming weeks. Well done to Gavin Duffy and his Sligo U-16 colleagues on their win over Louth at the weekend. Gavin started at corner forward. Best of luck to the Western Gaels senior hurling team in their county final against Calry/St Joseph’s next Sunday. The game takes place at 2pm in Markievicz Park before the senior football final. Several Enniscrone/Kilglass players are on the panel. Commiserations to our U-13s who exited the Feile competition at the semi-final stage after a 6-9 to 3-8 loss to Owenmore Gaels last Sunday morning. The team battled well but were ultimately beaten. The team showed very well throughout the competition, winning three games on route to the semi-finals. Thanks to the management team, players and parents for their efforts over the last month. Our intermediate team booked their place in the Abbott Cup final with a 7-13 to 1-9 win over Eastern Harps in their semi-final held at Cloonacool last Saturday evening. The final will be against Ballymote or Tourlestrane, with time, date and venue yet to be confirmed. Our U-13 team play in the Feile quarter-finals on Thursday evening at 6pm in the Sligo GAA Centre of Excellence at Scarden. Good luck to the team and management. Our intermediate team are scheduled to play Eastern Harps in the semi-final of the Abbott Cup next weekend. Time, date and venue are to be confirmed during the week. The year ended for the Enniscrone/Kilglass-Easkey minor team last Friday night when they were comprehensively beaten by Tourlestrane and knocked out of the A championship. It was a disappointing end to a frustrating year, where injuries had a major impact on the team’s chances of retaining their county title. Thanks to all the players, parents and management for their efforts throughout the year. Our U-13 team play St Patrick’s on Tuesday evening in the Feile competition at 6pm in Dromard. A win will ensure their progression as group winners. The extremely popular Enniscrone Surf and Turf fun run is back for 2017 on Saturday, October 28th with a start time of 12pm. This has been a superb event in recent years and promises to be bigger and better again this October. 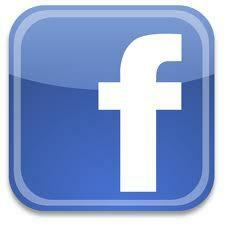 Keep an eye on the event Facebook page for further details in the coming weeks. Don’t miss out! After a good workout against Tubbercurry/Cloonacool last Sunday morning, the Enniscrone-Kilglass/Easkey minor team play Tourlestrane in the shield quarter final this Friday evening at 6pm in Easkey. Our U-13 team had a satisfactory start to their Feile campaign with a 3-8 to 3-7 win over Easkey last week. They have a break this week before playing their final group game against St Patrick’s on September 26th. Our intermediate team saw their championship hopes end on Sunday afternoon at Markievicz Park at the quarter final stage, with Geevagh emerging as 3-14 to 2-10 winners. The team will rue the concession of three very poor goals over the course of the hour, and a dreadful start where Geevagh racked up 2-3 in the opening ten minutes. To their credit, our lads closed the gap to five points in the closing stages but Geevagh ran out deserved winners. It was a very disappointing way for the campaign to end and it is a case of what might have been once again, but the lads worked hard until the end. With their championship involvement now complete, the team awaits confirmation of their Abbott Cup semi-final fixture. Thanks to the large travelling support for making their way to Sligo in terrible conditions last Sunday. The Enniscrone-Kilglass/Easkey minor team play Tubbercurry/Cloonacool on Friday evening at 6.15pm in Quigabar in their final championship group game. Our U-14s made a disappointing exit from the shield competition last Thursday evening with Castleconnor ending as 7-5 to 5-5 winners at Quigabar in the semi-final. Despite a poor showing last Thursday, the lads can reflect on a very busy year where they improved immensely throughout. Thanks to John Paul, Brian, and all players and parents for their efforts throughout the year. The U-13 Feile competition starts on Tuesday (September 12th) with a home fixture against Easkey. Our intermediate team had a very good workout on Friday night when they took on Tourlestrane in the Abbott Cup at Tourlestrane. Ending as two-point winners, 1-14 to 1-12, this was a useful encounter for the team against an impressive Tourlestrane side. The lads did well in the second period in particular, having trailed by 0-10 to 1-6 at the interval. It served as good preparation ahead of a massive game next Sunday, when we travel to Markievicz Park to play Geevagh in the Intermediate Championship quarter-finals at 2pm. Best wishes to all of the players and management – please support for this important fixture. The Enniscrone-Kilglass/Easkey U-16 team play Tubbercurry/Cloonacool on Monday evening (September 5th) at 6.30pm in the A Championship play-off in Castleconnor. Good luck lads. Our U-14s had a comprehensive win over Coolera/Strandhill in the quarter-finals of the shield competition last Thursday evening. They take on Castleconnor in the semi-final this Friday evening at 6.15pm in Quigabar. Good luck all. The U-13 Feile competition starts on September 12th with a home fixture against Easkey. Our intermediate team play Tourlestrane in the Abbott Cup on Friday evening at 9pm under lights in Tourlestrane. The Enniscrone-Kilglass/Easkey minor team lost out to Eastern Harps last Thursday evening in the ‘A’ Championship, 0-16 to 1-7. With the squad severely depleted due to injuries, this was a gallant effort but ultimately the better team won out. There is a break now until the final group game against Tubbercurry/Cloonacool on September 15th. Our U-14s play Coolera/Strandhill on Thursday evening at 7pm in the Division Two shield competition. Our U-12 boys suffered defeat at the final hurdle when they lost out to Curry in the Division Two final last Friday evening at Scarden, 0-13 to 0-6. This was a very disappointing end to what has been a fantastic year for the lads, but they were defeated by an impressive Curry side on the night. Nonetheless, the team performed very well throughout the year winning all games on route to the final and they most definitely have a promising future ahead of them in black and amber. Thanks to all players, coaches and parents for their efforts throughout the year. The panel members were: Finn Conway, Fionn Farrell, Ethan Carden , Lorcan Gregory, Cormac O’Malley, Oisin Arthur, Oisin Finnerty, Eoin Tuffy, Tommy Quinn, Jordan Stevens, Aaron Burke, Darragh Harte, Darragh Mulrooney, Adam Kerins, Pearse Sheridan, Darragh Long, Aodhan Forde, Niall Duffy, Neil Kelly, Ryan O’Donnell, Cian Duffy, Oran Hughes, Edwin Rolston, Eoin Finnerty, Keelan Lavelle, Joseph O’Kane. Management: Paul Bourke, Francie Gallagher, Eamonn Harnett, Carmel Nolan, Eamon O’Malley. Our intermediate team secured a vital win in the Intermediate Championship last Saturday evening when they defeated St Patrick’s by two points, 0-15 to 0-13, in their final group three game. This was an impressive display for the most part, particularly in the first half where the team established a 0-11 to 0-5 half-time lead. Despite losing their way for a time in the second half, they continued to battle and secured a deserved win. Progression to the knockout stages now hinges on the outcome of the final group game between St Patrick’s and St John’s in two weeks’ time, with a St John’s win ensuring our place in the quarter-finals. The team continue training this week with an Abbott Cup fixture to look forward to on Friday week against Tourlestrane. On Sunday morning last we had the welcome return of our Junior B team to championship action. Despite a 1-17 to 0-6 loss away to St Molaise Gaels, it was great to see several faces return to don the black and amber for the first time in a while. The squad should be further bolstered for next Sunday’s fixture away to Calry/St Joseph’s at 1pm on Sunday. The Enniscrone-Kilglass/Easkey minor team play Eastern Harps in their second A championship game on Thursday evening at 7pm in Keash. The Enniscrone/Kilglass-Easkey minor team were unfortunate to lose out to St Molaise Gaels in the second round of the A championship last Monday evening, 6-12 to 3-15. Having put themselves in the driving seat with five minutes to go, the visitors finished stronger to claim the spoils. The team are still in with a good chance of making the semi-final stage – that will depend on the outcome of the final round of fixtures this week. Our U-14s suffered a first B championship loss last Friday evening when they lost out to Calry/St Joseph’s by nine points, 4-12 to 3-6 at Quigabar. After showing great spirit to claw the deficit back to a single point with five minutes to play, the visitors showed their composure late on the extend their advantage once again and win out. With two wins from three games, our lads now enter the shield competition. Fixtures remain TBC. Our U-12 boys have a big evening ahead on Tuesday night when they play Curry in the Division Two county final in Markievicz Park at 7.30pm. The team has performed brilliantly all year and will hope to finish their campaign with some silverware. Please travel to support this great bunch of lads and shout them on! Our intermediate team were beaten in the opening round of the championship by St John’s, 2-17 to 1-14, in an entertaining contest at Corballa last Saturday evening. As in the weeks previous, the lads put in a very poor first half display and trailed 2-14 to 0-5 after 35 minutes, but burst into life in the closing stages to close the deficit. Indeed, with more time the lads could have snatched a result. Despite the defeat, they will take encouragement from their spirited comeback and will look to improve for next Saturday’s vital meeting with St Patrick’s at the same venue. Throw in is at 7pm on Saturday evening – your support would be greatly appreciated. The Enniscrone-Kilglass/Easkey minor team lost out to Owenmore Gaels in the first round of the championship last Thursday. The visitors claimed a deserved 3-9 to 1-10 win, with our depleted squad showing well at times but ultimately coming up short. The next group fixture is away to Eastern Harps on Thursday week, August 24th. 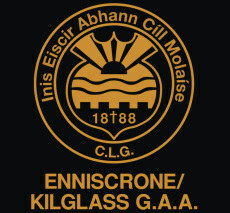 The Enniscrone/Kilglass-Easkey minor team play St Molaise Gaels at Quigabar on Monday evening (August 14th) at 7pm. A win will confirm progression to the semi-final. Our U-14s claimed a facile 14-10 to 1-4 win over Easkey last Friday evening. They have one remaining game this Friday in Quigabar against Calry/St Joseph’s at 7pm, where a win will seal a semi-final place. Good luck to everyone. Well done to our U-12 boys on qualifying for the Division Two final after a 0-17 to 0-9 defeat of Tourlestrane at Quigabar last Tuesday evening. The team have a week of preparation now before they travel to Markievicz Park on Tuesday, August 22nd for the county final. The game will have a throw in time of 7.45pm with Curry or St Patrick’s the opposition. Well done to Joseph Martin (U-14), Gavin Duffy and Oisin Hynes (U-15) on their involvement with Sligo teams over the weekend. Our intermediate team clinched a first senior league title for the club since 2004 on Friday night courtesy of a 0-10 to 0-8 replay win over Ballymote in the Division Three league final. Once again, the team showed tremendous grit to dig out the result, having trailed 0-5 to 0-0 after the first 25 minutes. Thereafter the team hit their stride, and finished strongly to earn promotion back to Division Two. Congratulations and well done to manager Pat Darcy, selector Karl Finnerty and all the players on securing the title in memorable fashion in front of a large travelling support. The team now turn their attention to the Intermediate Championship, which gets underway next Saturday evening in Corballa against St John’s at 7pm. The team from last Friday was: Mark O’Hara; MJ Crean, Cathal Mullaney, Eoghan Bourke; Oisin McCaffrey, Keith Carden, Kevin Cawley (0-1); Donal Mullaney, Nathan Hannon; Tom Mahon (0-1,f), JP Carden, Mark Gordon (0-2); Shane Hargadon, Michael Moyles, Brian Coleman (0-6, 2fs). Subs: Mark Caffrey, Brandon Fitzgerald, Christopher Tuffy, Shane Morrison, Brendan Byron, Niall Carden, Dean Greer, Aaron Duffy. The Enniscrone-Kilglass/Easkey minor team play Owenmore Gaels in the first round of the championship on Thursday evening from 7pm in Quigabar. Well done to the Enniscrone-Kilglass/Easkey U-16s on getting their championship campaign off to an encouraging start with a 3-10 to 1-14 win over Ballymote/Bunninadden last Monday evening. This was an impressive display and gives the team a great chance of securing a semi-final spot, which will be confirmed if they overcome the challenge of St Molaise Gaels in the next round. Training continues this week. Our U-14s continue their championship campaign against Easkey next Friday evening at 7pm in Easkey. Best wishes to our U-12s in their semi-final against Tourlestrane on Tuesday evening at Quigabar. Throw in is at 7pm. Commiserations to Ciaran O’Dowd, Josh Ellis, Eoin Hallinan and the Sligo minor team on their agonising one-point loss to Derry in the All-Ireland quarter-final last weekend. Ciaran had a fine game at wing forward, while Josh was a second half substitute. Well done to the three lads on their efforts throughout the year. Enniscrone has been nominated for the pride of place awards, with judges visiting the area on Tuesday morning. We look forward to showcasing all that is good about our club and parish. Our intermediate team will have to do it all again in the Division Three league final after they showed tremendous spirit to claw back a seven-point deficit to salvage a draw at Tourlestrane last Sunday against Ballymote. Trailing 2-4 to 0-5 at half-time, the lads went 2-6 to 0-5 points down before launching a great in the closing stages with Donal Mullaney’s goal the key score to securing a 1-9 to 2-6 draw. Indeed, the lads could have snatched having kicked some poor wides throughout the game but nonetheless, they will be delighted to get another chance after a poor display overall. Details of the replay at the time of writing were yet to be decided but when fixed your support would be greatly appreciated. A word of thanks to the Tourlestrane GAA club for having the pitch in fine condition and for the post-match refreshments. The Enniscrone-Kilglass/Easkey minor team reached the semi-final stage of last Thursday’s 7-aside blitz in Scarden before losing to Ballymote/Bunninadden. They continue their championship preparations this week. The U-16 team are joining with Easkey for the championship and get their campaign underway on Monday July 31st against Ballymote/Bunninadden at 7pm in Corran Park. St Molaise Gaels are also in the group. Our U-12s are preparing for their semi-final against Tourlestrane on August 8th with training this week. Congratulations to the Black Pig Festival Committee on another great festival this year. The area was full of excitement throughout the weekend. Well done all. Our intermediate team defeated Cloonacool in the final round of the league last Sunday, 3-11 to 0-6. Three points up at half time, 0-7 to 0-4, the lads powered on after the break to secure the result. They now face into the league final next Sunday when they play Ballymote. No time or venue was available at the time of writing – keep an eye out locally for details. This is a huge game for the squad and management so please get out to support the team as they try to win the title. Best of luck to everyone involved. The U-16 team are joining with Easkey for the championship and get their campaign underway on July 31st against Ballymote/Bunninadden. St Molaise Gaels are also in the group. Our U-14s kicked off their championship campaign with a resounding 10-13 to 3-6 win over St John’s last Friday evening. This was an excellent display which saw the team establish a 6-9 to 0-0 half-time lead, and indicates the side’s improvement as they lost heavily to the same opposition earlier this year. They will hope to continue this form against Easkey in the next round in two weeks. Our intermediate team secured a place in the Division Three league final with two games to spare thanks to a 1-17 to 1-5 win over St Mary’s at Quigabar last Saturday evening. Despite the concession of an early goal the team responded well and controlled the game. Preparations for the league final now begin in earnest, with the team travelling to Cloonacool for the penultimate round of the league next Sunday at 1pm. The Enniscrone-Kilglass/Easkey minor team had suffered a disappointing loss to Owenmore Gaels at Connolly Park last Thursday evening in the Division One Shield semi-final. Losers by the narrowest of margins 2-7 to 1-9, the team never got going and struggled to get to the pace of the game after a long lay-off. The team now begin their preparations for the championship. Our U-14s kick off their championship campaign when they host St John’s at Quigabar next Friday evening at 7pm. Best wishes to the players and management for the upcoming campaign. Our U-12s extended their winning run to eight games with a 0-14 to 0-13 defeat of St Patrick’s at Dromard last Tuesday. In a very close encounter, our boys just about edged it in a thrilling finish. This means they qualify for the quarter-finals as group winners, and play Tourlestrane at home in the semi-final on August 8th. It was a busy weekend on the county scene, with Joseph Martin playing for the Sligo U-14s and Gavin Duffy and Oisin Hynes playing for the U-15 side. Josh Ellis, Ciaran O’Dowd, Eoin Hallinan and the Sligo minors are continuing their preparations for their All-Ireland quarter-final against Derry on the bank holiday weekend. On the Masters front, both Declan Cawley and Michael Moyles were involved with the Sligo side that beat London on Saturday afternoon in Swinford. Well done all. We have been overwhelmed with the generosity of the local community and indeed beyond in our fundraising efforts for the new Indoor Astro Turf complex. After last week’s collection we are at €70200 and wish to thank all of those who have donated already for their fantastic generosity. We still require €5000 more to hit our target, and anyone who wishes to sponsor a block or a brick can visit our website or contact any committee member. Our intermediate team secured a 2-16 to 0-7 win over Eastern Harps on Saturday evening in Gurteen. On a difficult evening with many players absent, those present gave a very assured display. There was also the welcome return of Nathan Hannon to the black and amber and he had a fine hour at midfield. The team play St Mary’s next Saturday evening at 7.30pm in Quigabar. The Enniscrone-Kilglass/Easkey minor team had their league game against Curry rescheduled to July 11th. They will also have a game on Thursday evening – either a cup or shield semi-final. Keep an eye out for details. Our U-14s endured an agonising defeat when they succumbed to Tubbercurry/Cloonacool in an exciting Division Two Shield final at Scarden last Friday, 6-8 to 3-14. The lads will be very disappointed at the outcome having dominated the game, but they missed too many goal chances and the winners came good at the end to secure the honours. Nonetheless, our lads acquitted themselves very well throughout the league and look forward to the championship. Thanks to the great travelling support on the evening. Our U-12s play St Patrick’s on Tuesday evening at 7pm in Dromard. Commiserations to Ciaran O’Dowd, Josh Ellis, Eoin Hallinan and the Sligo minors on losing out to Galway in the Connacht MFC final last Sunday at Pearse Stadium 3-11 to 0-10. Josh started at full-back, while Ciaran occupied the left-half forward position. The team still qualify for the All-Ireland quarter-finals, where they will play Derry or Cavan in the coming weeks. Our intermediate team play Eastern Harps next weekend – at the time of writing the time, date and venue had yet to be confirmed. The Enniscrone-Kilglass/Easkey minor team had their league game against Curry rescheduled to July 11th, having previously been pencilled in for last Friday evening. Our U-14s play in the club’s first final of the year when they take on Tubbercurry/Cloonacool in the Division Two shield decider next Friday evening (July 7th) at 7.30pm in the Sligo GAA Centre of Excellence at Scarden. Best of luck to the players and management – please support. Our U-12s had their seventh win in a row last Tuesday evening when they accounted for Curry at Quigabar, 0-22 to 0-3. They play St Patrick’s next week. Well done to Ciaran O’Dowd, Josh Ellis, Eoin Hallinan and the Sligo minors on qualifying for the Connacht MFC final after a 3-12 to 3-7 defeat of Leitrim at Markievicz Park last Wednesday. Josh started at full-back, while Ciaran occupied the left-half forward position. Best wishes to the lads and the team in the final this Sunday at 12pm in Pearse Stadium, Salthill vs Galway. Our intermediate team had a comfortable 5-14 to 0-7 win over Easkey at Quigabar last Friday evening. Once again the squad was severely depleted but those present did enough to leave with the two points. Next Sunday evening the team host Tourlestrane in Quigabar from 5.30pm in a must-win encounter. Your support would be appreciated. Continued good wishes to all club players sitting state examinations over the next couple of weeks. Training continues for all minors and U-16s who are free of exam commitments. Our U-14 boys play in the Division Two shield semi-final on Monday evening when they travel to Coola to play Shamrock Gaels from 7pm. Best of luck to the players and management. Our U-12s had a terrific 0-21 to 0-11 win over Tourlestrane last Wednesday evening. This is the team’s sixth win in succession and this was another impressive display away from home. They have a break this week before they host Curry on Tuesday week (June 27th). We will once again be hosting a bonfire night event at Sheridan’s Kilglass on June 23rd this year. Due to the extraordinary generosity of the local community in our recent fundraising efforts, the night is free of charge with bouncy castles and a barbeque on the night. It all kicks off at 8.30pm – everyone welcome. Congratulations to the Kilglass NS Girls team on claiming the 4-teacher school county title last Sunday afternoon in Markievicz Park. This was a very impressive result and a great achievement; well to all the players, mentors and parents. 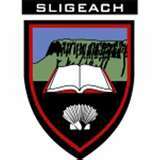 Well done to Sligo on their 0-22 to 3-7 defeat of Antrim in round 1A of the qualifiers last Saturday evening. Commiserations to Michael Moyles and the Leitrim Senior footballers on their loss to Roscommon in the Connacht Championship last Sunday. Our intermediate team suffered a setback to their promotion ambitions last Sunday when they slumped to a 3-14 to 0-8 defeat to Ballymote at Corran Park in the league. Having played into the breeze in the first half, our lads performed relatively well and trailed 0-8 to 0-3 at half-time, but the loss of a number of players and a poor second half performance led to a heavy defeat. The lads will look to bounce back when they host Easkey in the next round on Friday next at 8pm in Quigabar. Best wishes to all club players sitting state examinations over the next couple of weeks. Training continues for all minors and U-16s who are free of exam commitments. Our U-14 boys lost out to Eastern Harps, 4-7 to 3-8, in the final round of the Division Two league last Thursday evening. Minus the services of some key personnel, the lads led for the majority of the encounter but a late Harps’ surge gave them the points. This squad will travel to Feile on Friday week to represent the club and county, and based on their league performance they will be fine ambassadors. Our U-12s return to action this Wednesday evening when they play Tourlestrane at 7pm. Our intermediate team had a 2-18 to 0-8 win over Shamrock Gaels at Coola last Saturday evening. Despite fielding a weakened line-out due to a number of absences, this was an effective display with the second half an improvement on the first half where numerous chances were squandered. Next Sunday afternoon, the lads face an important trip to Corran Park to take on Ballymote at 1pm. Please support. Our U-14 boys play their final league game on Thursday evening at 7pm against Eastern Harps in Keash. Our U-13s had a fantastic weekend as they participated in the Govan Jolliffe Byrne tournament hosted by the Naomh Mearnog club in Portmarnock, Dublin. The lads played very well in their games against St Peter’s, Na Fianna and Naomh Mearnog, and camped out on Saturday night at the GAA grounds. It was a great experience for this talented squad to get game time against such illustrious opposition and will undoubtedly help their development going forward. Thanks to all management and parents that travelled to the capital for the weekend to support. Many of the squad will be on the road again in three weeks for the Feile Peil na nÓg in Cavan. Our U-12s secured their fifth successive win when they accounted for Easkey at Quigabar last Tuesday on a scoreline of 0-26 to 0-14. This result means the lads topped their Division Two group and qualified for the Cup knockout stages, where they will meet Tourlestrane, Curry and St Patrick’s in the coming weeks. Well done to everyone involved on achieving qualification with an unblemished record. Training continues this week. Quigabar hosted the Sligo U-15s challenge game against a Mayo Divisional selection last Friday evening with the home side securing a facile 3-20 to 0-2 win. Gavin Duffy was scorer in chief for the winners at full forward, while Oisin Hynes impressed at wing back. Michael Duffy is manager of the squad. We have been overwhelmed with the generosity of the local community and indeed beyond in our fundraising efforts for the new Indoor Astro Turf complex. After last week’s collection we are at €67400 and wish to thank all of those who have donated already for their fantastic generosity. We still require just under €10000 more to reach our target and anyone with sponsorship this week can hand it in at Gilroy’s Enniscrone between 8pm and 9.30pm on Monday evening (May 29th). With our U-14s travelling to represent their club and county in Feile Peil na nOg in Co Cavan at the end of June, a fundraiser will take place this Sunday June 4th in the Diamond Coast Hotel with Declan Nerney from 9.30pm. Tickets are available locally. Please support this night as this talented outfit go to represent the parish on the national stage. Our intermediate team had a 2-14 to 1-7 win over Cloonacool at Quigabar last Sunday afternoon. 2-8 to 1-3 ahead at the break, the lads struggled at times in the second period but managed to keep the visitors at arm’s length for the majority of the hour. The next assignment is an away trip to Coola for a meeting with Shamrock Gaels next Saturday evening at 6pm. Our U-16 boys put in an impressive team performance to defeat Coolaney/Mullinabreena on a scoreline of 6-20 to 5-7 at Cloonacool last Thursday evening. The highlight of the evening was undoubtedly the scoring exploits of Gavin Duffy who bagged a remarkable personal tally of 3-13. The team have a break from competitive action for the next month as the state examinations get underway. Our U-14 boys fell to a 4-16 to 3-6 defeat at the hands of St John’s last Monday evening in Quigabar. They have a break this week from league action, with a number of squad members travelling to Dublin next weekend to participate in a tournament – training continues. Our U-13s have an exciting Bank Holiday weekend in store when they travel to the Naomh Mearnóg club in Portmarnock, Dublin for a tournament involving some of the country’s top clubs. Austin Stacks of Kerry, Castlebar Mitchels of Mayo and Clonmel Commercials of Tipperary are amongst the participants in the Govan Joliffe-Byrne tournament, where our lads will play three games on Saturday afternoon as Sligo’s sole representatives. Best wishes to everyone travelling – we know you will represent your club and county with distinction. Our U-12s will look to end their league campaign unbeaten when they play Easkey in Quigabar on Tuesday evening from 7pm. Please support the team. Quigabar plays host to an U-15 county challenge game between Sligo and Mayo next Friday evening at 7.30pm. Our own Michael Duffy is manager of the squad which includes Gavin Duffy and Oisin Hynes. Come out to support if you can. We have been overwhelmed with the generosity of the local community and indeed beyond in our fundraising efforts for the new Indoor Astro Turf complex. After last week’s collection we are at €67400 and wish to thank all of those who have donated already for their fantastic generosity. We still require just under €10000 more to reach our target and anyone with sponsorship this week can hand it in at Hilltop Culleens between 8.30pm and 9.30pm on Monday evening (May 22nd). Congratulations to Chanelle Veterinary and Tommy and Rohna Battle who won the prizes of €1000 and €500 in our donor draw last Monday evening. Our intermediate team collected an important two points in Division Three last Saturday evening courtesy of a 1-12 to 0-9 defeat of St Mary’s at Kent Park. Travelling with a heavily depleted squad, those given an opportunity put in a good shift with Aaron Duffy’s first half goal the difference between the sides at the break, 1-5 to 0-5. The lads did well to withstand St Mary’s increased pressure in the second half to end as six-point winners. They face Cloonacool at home next Sunday afternoon at 1pm in Quigabar – your support would be appreciated for this fixture. Our U-16 boys play Coolaney/Mullinabreena on Thursday evening at 7pm in Cloonacool Community Park. Our U-14s had a superb one-point win over Tubbercurry/Cloonacool last Friday evening, on a scoreline of 6-8 to 7-4 at Kilcoyne Park. The team showed tremendous resilience to come back from the concession of early goals to end as winners in a frantic finish. They have a play again on Monday evening, May 22nd, when they host St John’s from 7pm. With our U-14s travelling to represent their club and county in Feile Peil na nOg in Co Cavan at the end of June, a fundraiser will take place on Sunday June 4th in the Diamond Coast Hotel with Declan Nerney. Tickets are available locally. Please support this as this talented outfit go to represent the parish on the national stage. Commiserations to both Sligo teams on their losses to Mayo at McHale Park last Sunday afternoon. Eoin Hallinan lined out at centre half back for the U-17 side. While the playing area is now complete, the club needs to raise €75000 to bring our indoor astro turf complex to completion (heating, electrics, toilets, dressing room, kitchen, meeting room etc.). We are currently at €52250 and wish to thank all of those who have donated already for their fantastic generosity. The draw for prizes of €1000 and €500 for all donors so far takes place on Monday night, May 15th, at 9.30pm at Sheridan’s Bar, Kilglass. Keep an eye on our social media pages and website for details of winners. Our intermediate team return to league action next Saturday evening when they take on St Mary’s in Kent Park at 7.30pm. The Enniscrone-Kilglass/Easkey minor team got their Division One campaign back on track thanks to a hard-earned 0-15 to 1-10 win over Shamrock Gaels at Coola last Thursday evening. In a tight contest, our lads trailed by a point at the break, 1-4 to 0-6, but hit the front in the second half. Best wishes and speedy recovery to Rory McHugh who sustained an injury late on in the game. Our U-16 boys played out a cracking 4-17 to 5-14 draw with Castleconnor on Monday evening at Quigabar. In a very exciting encounter, our boys overturned a six-point half-time deficit to lead in the closing stages but a late Castleconnor goal ensured the game ended all square. The squad have a break in competitive action this week – training continues. Our U-14s return to league action this Friday evening when they take on Tubbercurry/Cloonacool in Tubbercurry at 7pm. Our U-12s continued their fine form in Division Two when they accounted for Castleconnor, 0-9 to 0-7, in a competitive game at Quigabar last Tuesday evening. The result means our lads have four wins from four with one round remaining in the group stage. They have a break for two weeks before a meeting with Easkey on May 30th. Best of luck to the Sligo senior footballers in their Connacht Championship quarter-final against Mayo next Sunday. Best wishes also to Eoin Hallinan and the Sligo U-17 footballers who play their Mayo counterparts in the curtain raiser to the senior game at McHale Park next Sunday. While the playing area is now complete, the club needs to raise €75000 to bring our indoor astro turf complex to completion (heating, electrics, toilets, dressing room, kitchen, meeting room etc.). We are currently at €48950 and wish to thank all of those who have donated already for their fantastic generosity. Due to a significant amount of club members travelling to New York for next weekend’s Connacht Championship match, the draw for €500 and €1000 has been put back until Sunday, May 14th. The club requires the generosity of the community: individuals, families and businesses, both at home and abroad to bring the project to a completion. As previously advertised, you can sponsor a brick at €100, a block at €250 or a wall at €1500. There are teams in the various areas/townlands to contact to donate, and there are also be weekly collection points held around the parish to facilitate people who wish to donate. This week on Monday (May 8th) there will be a collection evening in Sheridan’s Kilglass from 8.30pm to 10pm. You can also donate online at www.enniscronekilglassgaa.com under the Astro Turf PayPal link. Your support at this extraordinary time in the club’s history is greatly appreciated. The Enniscrone-Kilglass/Easkey minor team suffered a second consecutive defeat in Division One following a 4-14 to 2-11 defeat to Ballymote/Bunninadden at Easkey last Thursday evening. In a below-par display, the lads trailed 2-5 to 0-8 at the interval and failed to reel in the winners in the second period. They travel to take on Shamrock Gaels this Thursday evening, with throw-in at 7pm in Coola. Our U-16 boys host Castleconnor on Monday evening at 7pm in Quigabar. Good luck lads. Our U-14s secured their first win of the Division Two campaign when they overcame Coolera/Strandhill at Ransboro last Friday evening, ending as 10-7 to 8-4 winners. This was a very good display from our boys, and is just rewards for the squad’s hard work lately. They have a break in competitive action this week – training continues. Our U-12s welcome neighbours Castleconnor to Quigabar on Tuesday evening at 7pm, looking to continue their winning run in Division Two. Best of luck to everyone involved. Pease support. Best of luck to the Sligo senior footballers in their Connacht Championship quarter-final against New York next Sunday. A number of club members are travelling across the Atlantic this week to support the black and white – we hope you all enjoy the trip. While the playing area is now complete, the club needs to raise €75000 to bring our indoor astro turf complex to completion (heating, electrics, toilets, dressing room, kitchen, meeting room etc.). We are currently at €28000 and wish to thank all of those who have donated already for their fantastic generosity. All of those who donate prior to the May Bank Holiday weekend will be entered into a draw for cash prizes of €1000 and €500. The club requires the generosity of the community: individuals, families and businesses, both at home and abroad to bring the project to a completion. As previously advertised, you can sponsor a brick at €100, a block at €250 or a wall at €1500. There are teams in the various areas/townlands to contact to donate, and there are also be weekly collection points held around the parish to facilitate people who wish to donate. This week on Monday (April 24th) there will be a collection evening in Gilroy’s from 8.30pm to 9.30pm. You can also donate online at www.enniscronekilglassgaa.com under the Astro Turf PayPal link. Your support at this extraordinary time in the club’s history is greatly appreciated. A very poor and disappointing second half performance led to our intermediate team losing to Tourlestrane last Saturday, 1-10 to 0-11. 0-9 to 0-3 ahead at the break, our lads had no response for Tourlestrane’s second half comeback with wastefulness a major feature of our performance. The squad and management will seek major improvement ahead of next Sunday’s home fixture against Eastern Harps from 3pm. The Enniscrone-Kilglass/Easkey minor prevailed after a cracking Division One tie with St Molaise Gaels at Quigabar last Thursday. 1-17 to 0-7 ahead at the half time, our lads excelled after the restart to end as 3-14 to 1-15 winners. They travel to take on Eastern Harps this Thursday evening at 7pm. Our U-16 boys play Calry/St Joseph’s in Quigabar this Monday evening at 7pm. Our U-14s lost out to Tourlestrane at Quigabar last Friday evening. They have a break from competitive action this week – training continues. Our U-12s picked up a valuable win on the road last Wednesday evening thanks to a 0-16 to 0-14 defeat of Eastern Harps. They will look to continue their winning run this Tuesday against St Farnan’s in Templeboy at 7pm. Players are asked to be there at 6.30pm. There was no winner of last weekend’s blotto jackpot. Next Saturday’s jackpot is €7300. Your continued support is greatly appreciated. While the playing area is now complete, the club needs to raise €75000 to bring our indoor astro turf complex to completion (heating, electrics, toilets, dressing room, kitchen, meeting room etc.). We are currently at €21800 and wish to thank all of those who have donated already for their fantastic generosity. All of those who donate prior to the May Bank Holiday weekend will be entered into a draw for cash prizes of €1000 and €500. The club requires the generosity of the community: individuals, families and businesses, both at home and abroad to bring the project to a completion. As previously advertised, you can sponsor a brick at €100, a block at €250 or a wall at €1500. There are teams in the various areas/townlands to contact to donate, and there are also be weekly collection points held around the parish to facilitate people who wish to donate. This week on Wednesday (April 19th) there will be a collection evening in Sheridan’s from 8.30pm to 9.30pm. You can also donate online at www.enniscronekilglassgaa.com under the Astro Turf PayPal link. Your support at this extraordinary time in the club’s history is greatly appreciated. Our Intermediate team play Easkey on Bank Holiday Monday afternoon at 1pm in Easkey, in round two of the league. The Enniscrone-Kilglass/Easkey minor team got their first win of the Division One campaign with a 1-14 to 0-8 defeat of Tubbercurry/Cloonacool last Thursday evening. This was a decent display from the lads with Conal Duffy’s late goal applying to gloss to a solid performance. They play St Molaise Gaels this Thursday evening – keep an eye out locally for details. Our U-16 boys suffered a 3-16 to 0-9 defeat against St Farnan’s/St Pats last Monday evening. Training continues this week. Our U-14s play Tourlestrane next Friday evening at 7pm at home. Our U-12 boys had a fantastic day out at Croke Park last Wednesday as they took part in a blitz organised by Connacht GAA. All players acquitted themselves very well on the day with plenty of parents there to cheer them on. Well done to the squad and management on representing the club so well on the hallowed turf. Thanks to Ridgepool Fuels for their sponsorship of tops for the big day. The boys return to domestic duty this Tuesday evening when they play Eastern Harps in the league at 7pm in Keash. While the playing area is now complete, the club needs to raise €75000 to bring our indoor astro turf complex to completion (heating, electrics, toilets, dressing room, kitchen, meeting room etc.). We are currently at the €15100 mark and wish to thank all of those who have donated already for their fantastic generosity. All of those who donate prior to the May Bank Holiday weekend will be entered into a draw for cash prizes of €1000 and €500. The club requires the generosity of the community: individuals, families and businesses, both at home and abroad to bring the project to a completion. As previously advertised, you can sponsor a brick at €100, a block at €250 or a wall at €1500. There are teams in the various areas/townlands to contact to donate, and there are also be weekly collection points held around the parish to facilitate people who wish to donate. This week on Monday (April 10th) there will be a collection evening in the Hilltop, Culleens from 8pm to 10pm. You can also donate online at www.enniscronekilglassgaa.com under the Astro Turf link. Your support at this extraordinary time in the club’s history is greatly appreciated. We will be holding an Open Day on Easter Sunday from 12pm to 2pm for anyone who wishes to view the new facilities at the pitch. Everyone welcome. Well done to our Intermediate team who got their Division Three campaign off to a winning start with a 1-16 to 1-8 defeat of Ballymote at Quigabar last Saturday. In fine conditions, our lads played well in the opening period to lead 1-10 to 1-3 at half-time, and despite a disappointing second half held out for victory. They play Easkey in round two on Easter Monday at 1pm in Easkey. The Enniscrone-Kilglass/Easkey minor team take on Tubbercurry/Cloonacool next Thursday evening at 7pm in Kilcoyne Park, Tubbercurry. Our U-16 boys had a good win over Tourlestrane in their opening fixture in Division Two, 5-7 to 3-10 last Wednesday in Quigabar. They play St Farnan’s/St Patrick’s this Monday (April 10th) at 7pm in Dromard. Our U-14s fell to defeat against a strong Calry/St Joseph’s side at Hazelwood last Friday evening. Training continues this week. Our U-12s enjoyed a 0-14 to 0-4 win over St Patrick’s last Tuesday in their first league game of the year. This Wednesday they will play in altogether different surroundings when they travel to Croke Park for a blitz. It promises to be a great day out, and a fantastic honour for these stars of the future. The bus for parents and players leaves at 6.45am on Wednesday morning from Enniscrone Church, and will stop at Quigabar at 7am also. Cost is €20 for players and €15 for parents. Best wishes to everyone involved – we hope you all enjoy the day. Commiserations to Josh Ellis, Ciaran O’Dowd, Eoin Hallinan and the Sligo minor team on their loss to Galway in the Connacht Minor League last weekend. While the playing area is now complete, the club needs to raise €75000 to bring our indoor astro turf complex to completion (heating, electrics, toilets, dressing room, kitchen, meeting room etc.). In this regard, the club will require the generosity of the community: individuals, families and businesses, both at home and abroad. As previously advertised, you can sponsor a brick at €100, a block at €250 or a wall at €1500. The official launch of our fundraising efforts took place last weekend, and there will be a draw for cash prizes of €1000 and €500 for those who donate prior to the May Bank Holiday weekend. There will be teams in the various areas/townlands to contact to donate, and there will also be weekly collection points held around the parish to facilitate people who wish to donate. This week on Monday (April 11th) there will be a collection evening in the Hilltop, Culleens from 8pm to 10pm. You can also donate online at www.enniscronekilglassgaa.com under the Astro Turf link. Your support at this extraordinary time in the club’s history is greatly appreciated. A sincere thank you to everyone who has already donated. Last Saturday’s scheduled Abbott Cup fixture against Tourlestrane was postponed due to a bereavement in the Tourlestrane parish, and will be re-fixed to a later date. This Saturday evening at 6.30pm our lads begin their league campaign at home to Ballymote. Best of luck to everyone involved – please support. The Enniscrone-Kilglass/Easkey minor team had a disappointing start to their league campaign when they went down to Owenmore Gaels by three points, 2-12 to 2-9 at Quigabar last Monday evening. They will hope to regroup this week ahead of their next fixture against Tubbercurry/Cloonacool on Thursday week. Our U-16 boys play Tourlestrane tomorrow evening (April 3rd) at 6.30pm in Quigabar. Our U-14s play Calry/St Joseph’s next Friday evening at 6.30pm in Hazelwood in round two of the league. Our U-12 boys showed very well in a west Sligo U-12 blitz held in our indoor astro-turf last Saturday morning. They begin their league campaign at home this Tuesday evening at 6.30pm against St Patrick’s. Best of luck to everyone involved for the coming year. Commiserations to Josh Ellis, Ciaran O’Dowd, Eoin Hallinan and the Sligo minor team on their first loss in the Connacht Minor League against Mayo last weekend. Gavin Duffy, Oisin Hynes and their U-15 colleagues had better fortune in their win over Fermanagh – this team is managed by our own Michael Duffy. Well done all. While the playing area is now complete, the club needs to raise €75000 to bring our indoor astro turf complex to completion (heating, electrics, toilets, dressing room, kitchen, meeting room etc.). In this regard, the club will require the generosity of the community: individuals, families and businesses, both at home and abroad. As previously advertised, you can sponsor a brick at €100, a block at €250 or a wall at €1500. The official launch of our fundraising efforts took place last weekend, and there will be a draw for cash prizes of €1000 and €500 for those who donate prior to the May Bank Holiday weekend. There will be teams in the various areas/townlands to contact to donate, and there will also be weekly collection points held around the parish to facilitate people who wish to donate. This week on Monday (March 27th) there will be a collection evening in Sheridan’s Bar Kilglass from 8pm to 10pm. You can also donate online at www.enniscronekilglassgaa.com under the Astro Turf link. Your support at this extraordinary time in the club’s history is greatly appreciated. Our intermediate team got their year off to a winning start when they defeated Cloonacool 1-14 to 0-3 in the opening round of the Abbott Cup at Quigabar last Saturday evening. The lads led 1-7 to 0-2 at half time and secured the result in the second half. Best wishes to Jason Morrison who sustained a broken elbow after a nasty fall. The second round is due to take place next weekend versus Tourlestrane with a time, date and venue yet to be confirmed at the time of writing. The Enniscrone/Kilglass-Easkey minor team get their league campaign up and running tomorrow evening (Monday) when they host Owenmore Gaels at 6.30pm in Quigabar. Good luck to the team and management for the coming year. The U-16 boys host Tourlestrane in the second round of the league on Monday week (April 3rd) at 6.30pm. Commiserations to our U-14 boys who were beaten by Shamrock Gaels in their first league game last Sunday morning. Their next outing is on April 7th away to Calry/St Joseph’s. Our U-12s will get their league campaign underway on April 4th at home to St Patrick’s. Training continues this week. Well done to Josh Ellis, Ciaran O’Dowd, Eoin Hallinan and the Sligo minor team on their third successive win in the Connacht Minor League against Leitrim last weekend. Josh played at corner back, while Ciaran was a second half sub. They host Mayo in round three next Saturday evening at 4pm in Markievicz Park before the Connacht U-21 final between Sligo and Galway at 6pm. Best of luck to both teams. While the playing area is now complete, the club needs to raise €75000 to bring our indoor astro turf complex to completion (heating, electrics, toilets, dressing room, kitchen, meeting room etc.). In this regard, the club will require the generosity of the community: individuals, families and businesses, both at home and abroad. As previously advertised, you can sponsor a brick at €100, a block at €250 or a wall at €1500. The official launch of our fundraising efforts took place last weekend, and there will be a draw for cash prizes of €1000 and €500 for those who donate prior to the May Bank Holiday weekend. There will be teams in the various areas/townlands to contact to donate, and there will also be weekly collection points held around the parish to facilitate people who wish to donate. This week on Monday (March 20th) there will be a collection evening in Gilroy’s, Enniscrone from 8pm to 10pm. Further details of other payment methods online will be made available this week. Your support at this extraordinary time in the club’s history is greatly appreciated. There was a false start to the season last Sunday when the inclement weather claimed our intermediate team’s opening fixture of 2017 against Tourlestrane in the Abbott Cup. Their first game in the competition will now be a home game against Cloonacool next Saturday at 5pm in Quigabar. Best of luck to everyone involved. The amalgamation of Enniscrone-Kilglass/Easkey takes place again at minor level this year. Their first outing is at home to Owenmore Gaels on Monday, March 27th. Good luck to everyone involved. Our U-16 team received a walkover from Easkey last Sunday morning in Division Two. They will play Tourlestrane on April 3rd in round two. Our U-14 boys host Shamrock Gaels in the opening round of the Division Two league next Sunday morning at 11am in Quigabar. Best of luck to everyone involved. Well done to Josh Ellis, Ciaran O’Dowd, Eoin Hallinan and the Sligo minor team on their second successive win in the Connacht Minor League against Roscommon last week. Josh played at full back, while Ciaran was a second half sub. They host Leitrim in round three next Saturday evening. Congratulations to the organisers of a fantastic St Patrick’s Day parade in Enniscrone last Friday. Despite the poor weather there was a great crowd in the village. Well done to our U-14s and organisers of our float which was awarded best volunteer float in the parade. While the playing area is now complete, the club needs to raise €59000 to bring our indoor astro turf complex to completion (heating, electrics, toilets, dressing room, kitchen, meeting room etc.). In this regard, the club will require the generosity of the community: individuals, families and businesses, both at home and abroad. As previously advertised, you can sponsor a brick at €100, a block at €250 or a wall at €1500. The official launch of our fundraising efforts took place last weekend, and there will be a draw for cash prizes of €1000 and €500 for those who donate prior to the May Bank Holiday weekend. There will be teams in the various areas/townlands to contact to donate, and there will also be weekly collection points held around the parish to facilitate people who wish to donate. The first of these takes place on Monday evening (March 13th) from 8pm to 10pm in Sheridan’s Bar, Kilglass. The following Monday (March 20th) there will be a collection evening in Gilroy’s, Enniscrone from 8pm to 10pm. Further details of other payment methods online will be made available this week. Your support at this extraordinary time in the club’s history is greatly appreciated. Our intermediate team get their 2017 season started next Sunday afternoon, when they play Tourlestrane in the opening round of the Abbott Cup. Throw-in is at 2pm in Tourlestrane. Best of luck to the squad and management for the coming year. Our U-16 team have a rearranged fixture against neighbours Easkey in their opening round fixture in Division Two next Sunday morning. Throw-in at 11am in Easkey. Best of luck to everyone involved. Well done to our U-14 boys on getting 2017 off to a winning start with a win over Coolera/Strandhill in a challenge game last Sunday. Training continues this week. There was no winner of last weekend’s blotto draw. The jackpot for next Saturday’s draw is €6100. Your continued support is greatly appreciated. The first training sessions took place in the indoor astro turf last Friday evening, with the facilities greatly appreciated on a wintry night! While the playing area is now complete, the club needs to raise €59000 to help bring the complex to completion (heating, electrics, toilets, dressing room, kitchen etc.). In this regard, the club will require the generosity of the community: individuals, families and businesses, both at home and abroad. As previously advertised, you can sponsor a brick at €100, a block at €250 or a wall at €1500. The official launch of our fundraising efforts will take place next weekend, and there will be a draw for cash prizes of €1000 and €500 for those who donate prior to the May Bank Holiday weekend. There will be teams in the various areas/townlands to contact to donate, and there will also be weekly meeting points held around the parish to facilitate people who wish to donate. The first of these takes place next Monday evening (March 13th) from 8pm to 10pm in Sheridan’s Bar, Kilglass. Further details on payment methods will be made available inside the next week. Your support at this extraordinary time in the club’s history is greatly appreciated. At last Monday’s club meeting, the following management teams were ratified for the coming year – Intermediate: Pat Darcy, Karl Finnerty; Minor (amalgamated with Easkey): Brendan Murray, Cathal Mullaney; U-16: Declan Rouse, Johnny Mullaney, Declan Duffy; U-14: John Paul Carden, Brian Coleman; U-12: Eamon Harnett, Paul Bourke, Francie Gallagher, Eamon O’Malley, Carmel O’Neill; U-10: Michael Duffy; U-6/U-8: Derek Tuffy, Jude Tuffy, Greg Regan. Best of luck to all management teams for the coming year. Our U-16 team get the 2017 season up and running next Sunday morning when they take on neighbours Easkey in their opening round fixture in Division Two. Throw-in at 11am in Easkey. Best of luck to everyone involved. There was no winner of last weekend’s blotto draw. The jackpot for next Saturday’s draw is €5900. Your continued support is greatly appreciated. The Astro Turf development is coming along very well at Quigabar with the astro turf being laid at present, and it will hopefully be available for use in the coming fortnight. We have launched our fundraising drive to help fund the completion of the project, and hope that supporters, players, sponsors and associates of the club can contribute in the next couple of months. There are three ways you can contribute – buying a brick (€100), block (€250) or wall (€1500). All donors will be remembered in perpetuity on a donor wall inside the building when complete. To donate contact Joe Cawley (087) 9173991, Eugene Nelson (087) 2339591 or pro.enniscronekilglass.sligo@gaa.ie. Your support at this extraordinary time in the club’s history would be greatly appreciated. The county competition for Scór na nÓg takes place in the coming weeks, involving a number of musical, dancing and table quiz categories. Anyone under the age of 18 within the club that may be interested in taking part can contact Cathal Mullaney on (087) 0577947. Congratulations to Intermediate team footballer Brendan Byron and his wife Laura on the birth of their baby boy Ben recently. The astro turf development is coming along very well at Quigabar with the astro turf being laid at present. We have launched our fundraising drive to help fund the completion of the project, and hope that supporters, players, sponsors and associates of the club can contribute in the next couple of months. There are three ways you can contribute – buying a brick (€100), block (€250) or wall (€1500). All donors will be remembered in perpetuity on a donor wall inside the building when complete. To donate contact Joe Cawley (087) 9173991, Eugene Nelson (087) 2339591 or pro.enniscronekilglass.sligo@gaa.ie. Your support at this extraordinary time in the club’s history would be greatly appreciated. Well done to Josh Ellis, Ciaran O’Dowd, Eoin Hallinan and the Sligo minor team on getting their Connacht Minor League campaign off to a winning start thanks to a 0-15 to 0-9 defeat of Longford last Saturday. Josh played the full game at full-back, while Ciaran was introduced at full forward in the second half. Commiserations to our Ocean FM ‘Pole Position’ quiz team of Gerry Gilroy, Eoin Hallinan and Billy Varley who lost their first round clash with Owenmore Gaels 31-27 in a close-fought encounter. There was no winner of last weekend’s blotto draw. The jackpot is now €5500, and the draw continues every Saturday night. Your continued support is greatly appreciated. We had a very enjoyable dinner dance last Friday night at the Diamond Coast Hotel in Enniscrone, with a large crowd in attendance. It was fantastic to see some stalwarts from years past as we honoured the 1966 Junior Champions and the 1991 Intermediate Champions, while the Enniscrone-Kilglass minors of 2016 were also honoured following their efforts with the combined Enniscrone-Kilglass/Easkey side that won the ‘A’ Championship. Congratulations to our individual award winners – Eamon Sheridan (Hall of Fame), Cathal Mullaney (Clubman of the Year) and Keith Carden (Player of the Year). All in all it was a very successful evening; thanks to the Diamond Coast for their excellent hospitality. Pictures from the evening are available on our website and Facebook pages. The astro turf development is coming along very well at Quigabar with the astro turf being laid in the coming week. We have launched our fundraising drive to help fund the completion of the project, and hope that supporters, players, sponsors and associates of the club can contribute in the next couple of months. There are three ways you can contribute – buying a brick (€100), block (€250) or wall (€1500). All donors will be remembered in perpetuity on a donor wall inside the building when complete. To donate contact Joe Cawley (087) 9173991, Eugene Nelson (087) 2339591 or pro.enniscronekilglass.sligo@gaa.ie. Your support at this extraordinary time in the club’s history would be greatly appreciated. We extend our congratulations to Paul Tuffy Jnr, Culleens and now New York, who received the Sligo Person of the Year award at the Sligo-New York Dinner Dance next weekend. Paul’s father, Paul Snr, has been a stalwart of the club and was our Vice President in recent years. Congratulations also to our own Francie Gallagher, who last week was elected as Assistant Treasurer of the Sligo County Board. Best wishes to Francie in his new role. Best wishes to our Ocean FM ‘Pole Position’ quiz team of Gerry Gilroy, Eoin Hallinan and Billy Varley in their first round clash with Owenmore Gaels this week. The sports quiz sees 16 clubs take part from all across the region. Tune into Ocean FM next Sunday evening at 6pm to hear how the lads got on. There was no winner of last weekend’s blotto draw. The jackpot is now €5300, and the draw continues every Saturday night. Your continued support is greatly appreciated. Our annual Dinner Dance takes place this Friday, February 10th in the Diamond Coast Hotel, Enniscrone. It promises to be a great night’s entertainment with the usual club awards being presented. We will also be honouring the Junior Championship winners of 1966 on the 50th anniversary of their success, as well as the 1991 Intermediate team who captured the championship title 25 years ago. Tickets are now on sale from any committee member, Sheridan’s Kilglass and Checkout Enniscrone. Don’t miss what will be a great night. The astro turf development is coming along very well at Quigabar with the electrical work being undertaken over the weekend – thanks to John Lynott, Francie Gallagher, Dermot Murphy and Dara Rouse for giving of their time and expertise voluntarily. We have launched our fundraising drive to help fund the completion of the project, and hope that supporters, players, sponsors and associates of the club can contribute in the next couple of months. There are three ways you can contribute – buying a brick (€100), block (€250) or wall (€1500). All donors will be remembered in perpetuity on a donor wall inside the building when complete. To donate contact Joe Cawley (087) 9173991, Eugene Nelson (087) 2339591 or pro.enniscronekilglass.sligo@gaa.ie. Your support at this extraordinary time in the club’s history would be greatly appreciated. We extend our congratulations to Paul Tuffy Jnr, Culleens and now New York, who will receive the Sligo Person of the Year award at the Sligo-New York Dinner Dance next weekend. Paul’s father, Paul Snr, has been a stalwart of the club and was our Vice President in recent years. Congratulations to Paul and all of his family on the award – we hope everyone enjoys the night. Best wishes to our Ocean FM ‘Pole Position’ quiz team of Gerry Gilroy, Eoin Hallinan and Michéal Sheridan in their first round clash with Owenmore Gaels this week. The sports quiz sees 16 clubs take part from all across the region. Tune into Ocean FM next Sunday evening at 6pm to hear how the lads got on. The astro turf development is coming along very well at Quigabar with the roof now in place, and the playing area set to be completed inside the next month. We have launched our fundraising drive to help fund the completion of the project, and hope that supporters, players, sponsors and associates of the club can contribute in the next couple of months. There are three ways you can contribute – buying a brick (€100), block (€250) or wall (€1500). All donors will be remembered in perpetuity on a donor wall inside the building when complete. To donate contact Joe Cawley (087) 9173991, Eugene Nelson (087) 2339591 or pro.enniscronekilglass.sligo@gaa.ie. Your support at this extraordinary time in the club’s history would be greatly appreciated. Our annual Dinner Dance takes place on Friday, February 10th in the Diamond Coast Hotel, Enniscrone. It promises to be a great night’s entertainment with the usual club being presented. We will also be honouring the Junior Championship winners of 1966 on the 50th anniversary of their success, as well as the 1991 Intermediate team who captured the championship title 25 years ago. Tickets will are now on sale from any committee member. Don’t miss what will be a great night. At a well-attended AGM held in the Diamond Coast Hotel last Friday evening, the entire executive retained their positions for the coming year. On a night of lively discussion, there were a couple of minor changes to the extended committee, with John P Mullaney assuming the Vice-President position, Cathal Mullaney taking on the position of Irish Officer and Francie Gallagher officially ratified as Blotto Coordinator. In his address to the meeting, chairman Declan Rouse reflected on a busy and successful year, with two county titles returning to the parish as well as a Minor Championship win along with neighbours Easkey. He noted that it what a historic year for the club in many respects, particularly given the start of the indoor astro-turf complex. Declan said 2017 promised to be a busy year to finalise construction and fundraising for the new development, and said he looks forward to the coming year. Secretary Brendan Murray delivered a comprehensive report on the club’s activities in 2016, and also stressed the importance of 2017 in the lifetime of the club. He appealed to all members, former members, supporters and sponsors to row in behind the indoor astro-turf project. Treasurer Eugene Nelson gave his first report as club treasurer, in which he revealed the healthy financial state of the club throughout 2016. He complemented the wider club on the successful fundraising initiatives undertaken last year, and also thanked the Ladies Committee for their fundraising efforts. It is testament to the work of Eugene and the club that financially everything is in such good order. All in all, it was a very successful AGM and the club now looks forward to what promises to be another exciting chapter in our long history. The astro turf development is coming along very well at Quigabar with the roof now in place, and the playing area complete in a number of weeks. We have launched our fundraising drive to help fund the completion of the project, and hope that supporters, players, sponsors and associates of the club can contribute in the next couple of months. There are three ways you can contribute – buying a brick (€100), block (€250) or wall (€1500). All donors will be remembered in perpetuity on a donor wall inside the building when complete. To donate contact Joe Cawley (087) 9173991, Eugene Nelson (087) 2339591 or pro.enniscronekilglass.sligo@gaa.ie. Your support at this extraordinary time in the club’s history would be greatly appreciated. Our Annual General Meeting takes place on Friday evening, January 20th, at 9pm in the Diamond Coast Hotel in Enniscrone. All members are asked to attend and new members are very welcome. The astro turf development is coming along very well at Quigabar with the roof set to be in place soon, and the playing area complete in a number of weeks. We have launched our fundraising drive to help fund the completion of the project, and hope that supporters, players, sponsors and associates of the club can contribute in the next couple of months. There are three ways you can contribute – buying a brick (€100), block (€250) or wall (€1500). All donors will be remembered in perpetuity on a donor wall inside the building when complete. To donate contact Joe Cawley (087) 9173991, Eugene Nelson (087) 2339591 or pro.enniscronekilglass.sligo@gaa.ie. Your support at this extraordinary time in the club’s history would be greatly appreciated. Our annual Dinner Dance takes place on Friday, February 10th in the Diamond Coast Hotel, Enniscrone. It promises to be a great night’s entertainment with the usual club being presented. We will also be honouring the Junior Championship winners of 1966 on the 50th anniversary of their success, as well as the 1991 Intermediate team who captured the championship title 25 years ago. Tickets will be on sale in the coming weeks. Thanks to all club members who ensured the smooth running of last Sunday’s FBD League fixture between Sligo and Galway at Quigabar. A large crowd watched the Tribesmen claim a 0-13 to 0-10 win in the first competitive game of 2017. Great credit is due to Joe Cawley and his team of stewards for their very effective handling of the day, as well as those who helped with refreshments and preparation of the pitch. The astro turf development is coming along very well at Quigabar with the roof set to be in place soon, and the playing area complete in a number of weeks. The development gained much attention during last weekend’s FBD League game amongst followers of both teams. We have launched our fundraising drive to help fund the completion of the project, and hope that supporters, players, sponsors and associates of the club can contribute in the next couple of months. There are three ways you can contribute – buying a brick (€100), block (€250) or wall (€1600). All donors will be remembered in perpetuity on a donor wall inside the building when complete. To donate, contact Joe Cawley (087) 9173991, Eugene Nelson (087) 2339591 or pro.enniscronekilglass.sligo@gaa.ie. Your support at this extraordinary time in the club’s history would be greatly appreciated. Our Annual General Meeting takes place on Friday, January 20th at 9pm in the Diamond Coast Hotel, Enniscrone. All members, new and existing, are asked to attend. Our annual Dinner Dance takes place on Friday, February 10th in the Diamond Coast Hotel, Enniscrone. It promises to be a great night’s entertainment with the successful teams of 2016 being honoured on the night. More details in the coming weeks. A very Happy New Year to all of our players, members, supporters and sponsors. May 2017 be a prosperous and successful one for the club. The launch of our fundraising drive for the indoor astro-turf complex at Quigabar will take place this Sunday afternoon (January 8th) during the Sligo vs Galway FBD League game. Brochures detailing pricing structures and with all the details on the complex are currently in circulation locally. Your support at this crucial point in the club’s development is very much appreciated. The construction phase is set to conclude early in the new year. Quigabar was the hive of activity on December 27th for the annual Married vs Singles match, with the Married team extending their unbeaten run to a seventh year following an exciting encounter. Thanks to all of those who helped out on the day which everyone enjoyed, with over €1000 raised for Diabetes Ireland. Thanks also to Keevan Tuffy, whose fantastic footage of the game is available via our Facebook page. We’re looking forward to next year already! Minor ‘A’ Football champions Enniscrone-Kilglass/Easkey received their medals at a presentation function held in the Diamond Coast Hotel last Wednesday, with Mayo’s All-Star goalkeeper David Clarke as special guest. Well done to all the players and management on what was a fantastic achievement to bring the title west for the first time since 1980 – it will be remembered long into the future. Thanks to the Diamond Coast Hotel for their kind hospitality as always. Our Annual General Meeting will take place on January 20th, while our Dinner Dance is scheduled for February 10th. Both events will take place in the Diamond Coast Hotel. Quigabar will host Sligo’s opening game of 2017 when they take on Galway in the first round of the FBD League on this Sunday (January 8th) at 2pm.